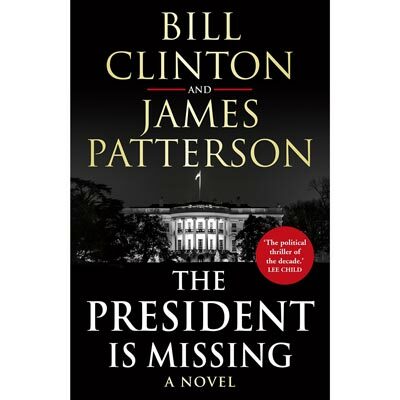 Please join President Bill Clinton and the world’s bestselling author James Patterson as they discuss their novel, The President is Missing, offering candid insights into their unique collaboration and research, as well as the timely and alarming issues their novel raises about our world today. The President is Missing marks the first time a President has collaborated with a bestselling novelist on a work of fiction. The result is a powerful, one-of-a-kind thriller filled with details only a President could know, and the kind of suspense only James Patterson can deliver. Each full-priced ticket will include an autographed copy of The President is Missing. James Patterson received the Literarian Award for Outstanding Service to the American Literary Community from the National Book Foundation. He holds the Guinness World Record for the most #1 New York Times bestsellers, and his books have sold more than 375 million copies worldwide. A tireless champion of the power of books and reading, Patterson created a new children’s book imprint, JIMMY Patterson, whose mission is simple: “We want every kid who finishes a JIMMY Book to say, ‘PLEASE GIVE ME ANOTHER BOOK.’” He has donated more than one million books to students and soldiers and funds over four hundred Teacher Education Scholarships at twenty-four colleges and universities. He has also donated millions of dollars to independent bookstores and school libraries. Patterson invests proceeds from the sales of JIMMY Patterson Books in pro-reading initiatives.